The conference phone reimagined. 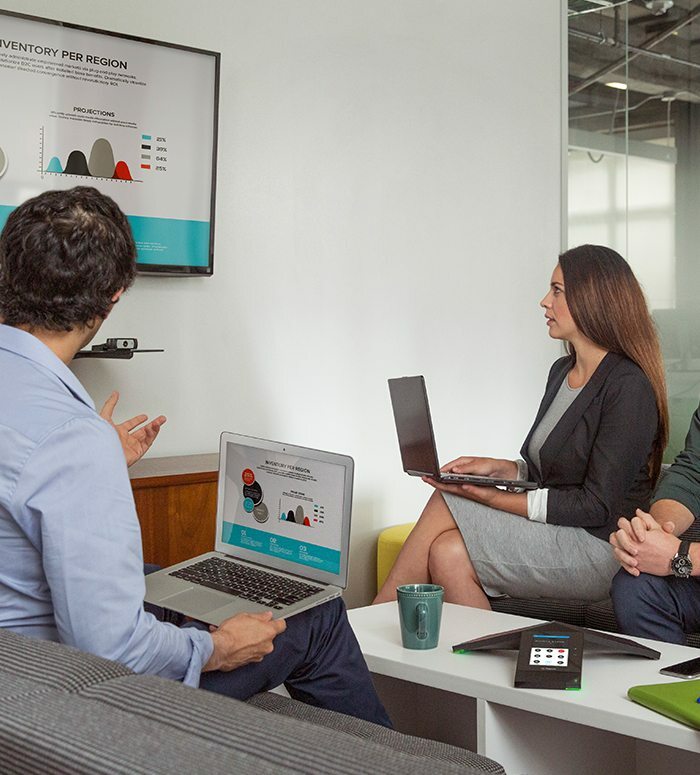 Marrying our legendary voice quality with the additional capabilities of personal content sharing and business-class videoconferencing, Polycom Trio can be flexibly deployed anywhere, from huddle rooms to boardrooms. Exceptional audio delivering the full range of the human voice enabling you to hear every inflection. Polycom Trio audio mutes background noise which is not speech-related for distraction free calls. 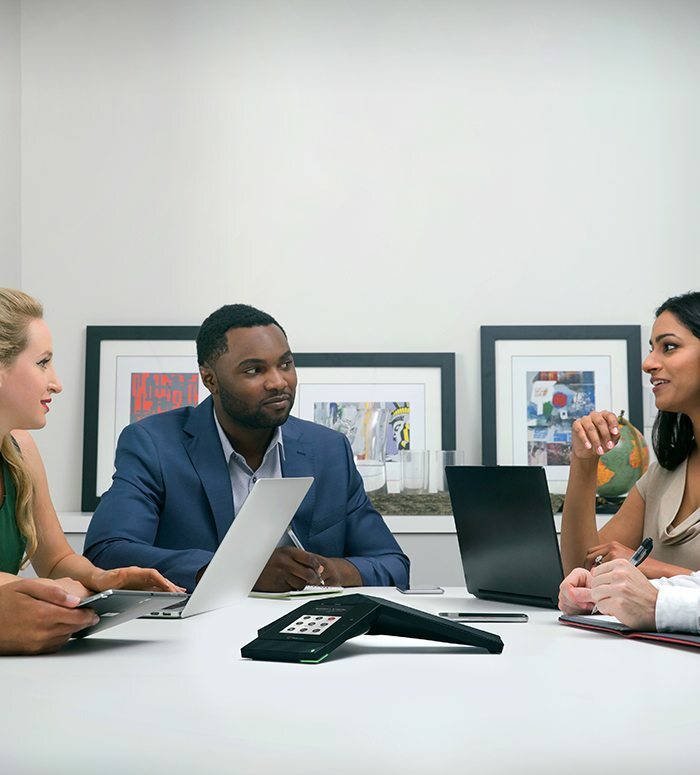 Initiate calls from your mobile device and allow Polycom Trio to be your speakerphone. Share content easily using business tools you already use every day. 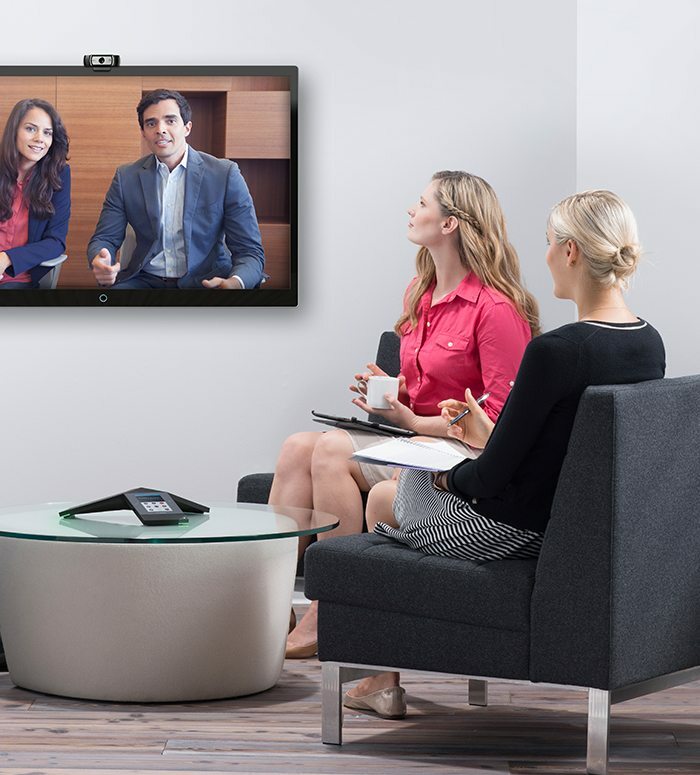 Enhance team collaboration inside the room, with remote participants, or both simultaneously. Easily pair your PC or Tablet in vibrant HD resolution. Effortlessly pair your personal devices (BYOD) for easy access to what you need most. See your audience and experience their reactions as they happen. 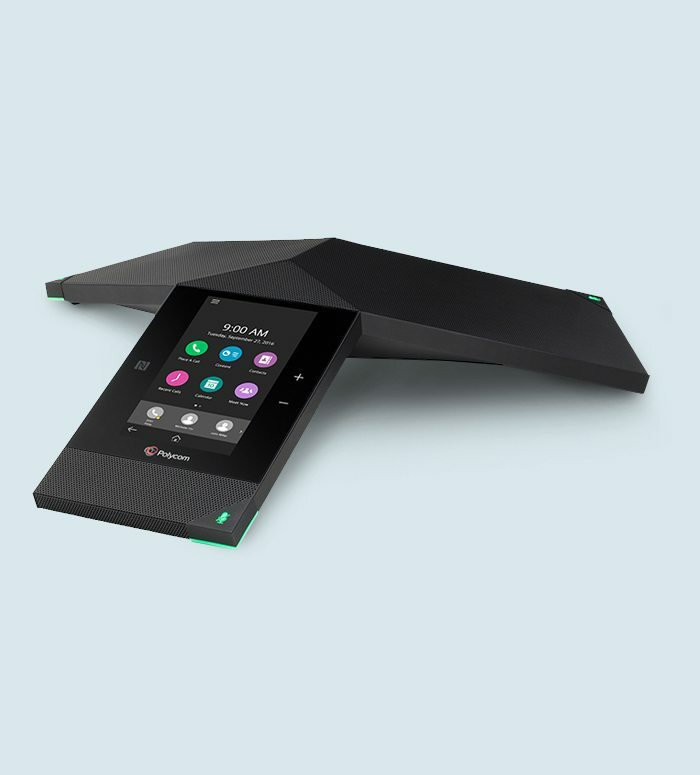 The first and only conference phone expandable for video and content with Polycom Visual+ so you can choose to work the way that works for you! First and only Microsoft Skype for Business Certified conference phone.